What is confession? 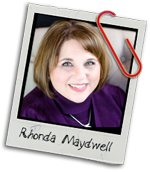 Do I have to keep confessing to God for forgiveness? 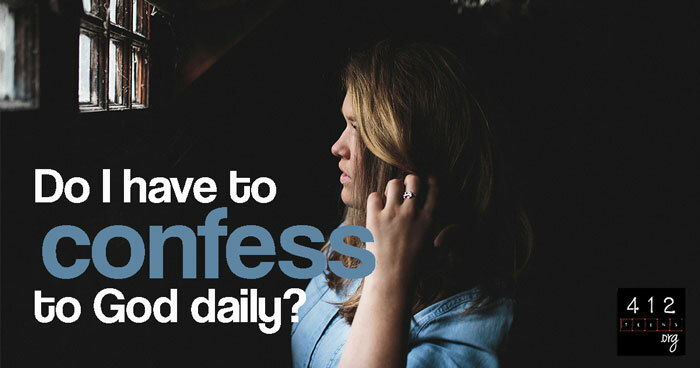 Confession is a term we often hear at church, youth group, or in the Bible. Clearly confession of sin is an important part of our faith, but what is it, why it is important, and how does it work? Is daily confession of sin required for forgiveness? First things first, we want to be clear that the kind of confession we are talking about in this article is a confession that restores our relationship with God. Confession of sin for eternal salvation is a one-time thing (John 3:16; Ephesians 1:6-8). We'll talk about the difference in a little bit. (Also see: "What is salvation?") But we wanted to be clear on that point first. Confession comes from the Greek homologeō, and means “to agree, concede, or profess.” When we confess our wrongdoing to another person, we profess that we did something wrong. When we confess our sins to God, we acknowledge that He is holy and righteous and holds us to the same standard—though we frequently fail to meet that standard. Confessing our sins to God is agreeing with Him that we have fallen short of His holy standard by sinning. Since God knows everything anyway (Psalm 33:6; Ephesians 3:20), trying to hide when we stumble or sin really doesn’t fool anybody—least of all God. It’s much better to admit our mistakes, agree with Him that we fall short of His holiness, and profess our desire to move past that sin. Once sin stood as a barrier between God and the people He longed to have a relationship with (hint: you and me). When God sent His Son to live a sinless life and die for our sins, that barrier was removed once and for all. This is salvation. As we move forward, if we sin yet fail to confess it to God, that results in us essentially installing our own manmade barrier. God never wants that. He knows we're going to mess up, but He wants us to feel safe to tell Him anything so that we can continue to grow closer to Him (James 4:6-10; Revelation 3:20). Confession clears the air and restores our closeness with God. How does daily confession work? Sometimes we're afraid to admit when we have done wrong to our parents, teachers, or even our friends because we don't know what's going to happen if we admit our offenses. But with God, we don't have to be afraid. God says that when we confess our sins, He will forgive them (1 John 1:9). Not only are our sins forgiven, but we can trust God with our deepest, darkest secrets. You know how you sometimes have to get things off your chest, clear the air, and talk to someone? Hiding sins creates a heavy burden to carry and steals our joy. The more we confess and experience forgiveness, the freer we feel from painful burdens. As a side note, we want to be clear that you do not need to be afraid of not confessing something you literally forgot all about. Unless you honestly recall that one thing you did when you were 7 years old and suddenly feel repentant, there's no reason to be anxious about not confessing what has been forgotten. Confession is not about going over a checklist of wrongs and making them right; it's about restoring your broken heart with God's forgiveness. Confession removes painful emotions and frees us to move to a better direction than we were previously heading. Proverbs 28:13 says, “He who conceals his transgressions will not prosper, But he who confesses and forsakes them will find compassion." Confession not only opens the way to forgiveness, but in that forgiveness, we re-discover God's compassion and acceptance. Positional Confession is the very first confession we make to God. This confession is our acknowledgement that we are sinners; that our sin separates us from God; that Jesus, the Son of God, is our Savior who died in our place so that we may be with God in eternity. This confession is what makes us "Christians" and secures our eternal salvation. It is an acceptance of God's pardon of our sins and a promise to live the life that God desires for us to live. Once we are members of the body of Christ, we are forgiven of every sin—past, present, and future. The price paid by Christ on the cross has satisfied God’s wrath against sin, and no further sacrifice or payment is necessary. When Jesus said, “It is finished,” He meant it. Our positional forgiveness was obtained then and there. Woohoo! Relational Confessions are subsequent confessions during our faith journey. Why do we need to confess again if our sins were forgiven already? 1 John 1:9 says, “If we confess our sins, he is faithful and just to forgive us our sins and to cleanse us from all unrighteousness." John is referring to the kind of forgiveness that happens between a godly parent and child. For example, if a son falls short of his father's expectations or rules, the son has hindered his relationship with his father. He's still the father's son, but their relationship suffers. Until the son admits to his father that he has done wrong, guilt and hurt will be part of how they interact. Ever been in a position of guilty silence? That is what a hindered relationship looks like. We avoid communication and hanging out with that person because we don’t want to be found out and possibly feel worse. It works the same way with God; our fellowship with Him is hindered until we confess our sin. When we confess to God, He is quick to forgive, and delights in our desire to allow nothing to come between us. This is relational forgiveness. Although we can never lose our salvation, our walk with God can be hampered by unconfessed sin. With confession to Him, our fellowship will be restored. How can confession help me? When we confess our sins, we find that God leads us to walk with a lighter, more joyful step. We find comfort in an environment that allows us to grow with room for grace on our occasional missteps and mistakes. We may find that we sin less over time. Our trust in His grace is a way to praise the God who loves us at our worst just as much as He does at our best. Confession of sin can also help keep us from God's discipline. If we fail to confess sin, God will surely discipline us, so we may learn from both the mistake of our sin and our futile secrecy. Discipline is God’s loving (although sometimes painful) way to lead us to confession and restored relationship. A loving parent might send a child to time out until they are able to admit what they did wrong. Likewise, God sometimes allows us to deal with consequences of our sin, which will lead us to healing confession. Beneficial, proper fellowship with God cannot happen with the cloud of unconfessed sin. So confess your sin to God as soon as you're aware that you've sinned. Whether you feel the need to make an original confession and give your life to Jesus (positional), or to confess sins that are hampering your relationship with Christ (relational), you should know that God is for you. Confession opens the door to ever good thing He wants to give you and to do through you. Is there anything that is keeping you from feeling close to God? Is there some sin that comes to mind as you read this? You can trust God with your secrets and sins—His desire is to extend grace and mercy and lead you to higher ground. When we confess our sins to God, we acknowledge that He is holy and righteous and holds us to the same standard—though we frequently fail to meet that standard (Psalm 32:5). Confession removes painful emotions and frees us to move to a better direction than we were previously heading (Proverbs 28:13). If we fail to confess sin, God will surely discipline us, so we may learn from both the mistake of our sin and our futile secrecy. God is quick to forgive and delights in our desire to allow nothing to come between us (1 John 1:9). Our trust in His grace is a way to praise the God who loves us at our worst just as much as He does at our best (Psalm 32:10-11).